The hype is real! I purposefully chose today, of all days, to post my (short) review on this one. It's Valentine's Day! I am a sucker for all things cheesy, figuratively and literally. Also, because THE HYPE. IS. REAL. This was quite a fun book to read. So much sexiness and wit wrapped up in an almost comical office rivalry. I initially thought they'd be more vicious but it wasn't the case at all. 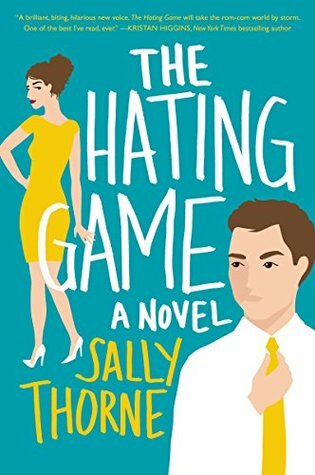 Sally Thorne created the perfect balance of romance, one that's both tender and steamy minus the overpowering drama we often find in books in the same genre. So glad they're making a movie of this!